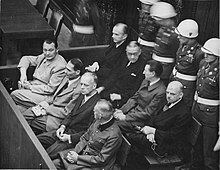 A new type of court, the Volksgerichtshof ("People's Court"), was established in 1934 to deal with political cases. 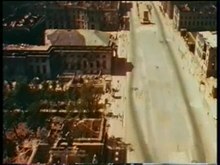 This court handed out over 5,000 death sentences until its dissolution in 1945. 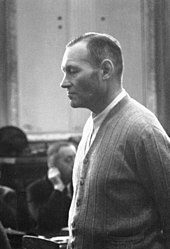 The death penalty could be issued for offences such as being a communist, printing sious leaflets, or even making jokes about Hitler or other officials. 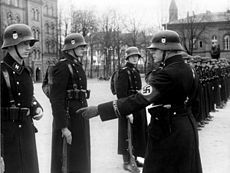 The Gestapo was in charge of investigative policing to enforce National Socialist ideology as they located and confined political offenders, Jews, and others deemed undesirable. 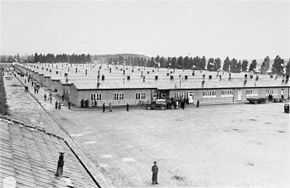 Political offenders who were released from prison were often immediately re-arrested by the Gestapo and confined in a concentration camp. 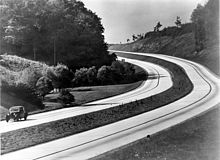 Major public works projects financed with deficit spending included the construction of a network of Autobahnen and providing funding for programmes initiated by the previous government for housing and agricultural improvements. 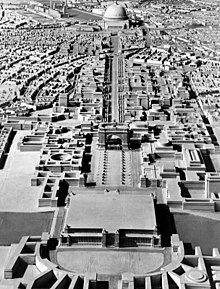 To stimulate the construction industry, cr was offered to private businesses and subsidies were made available for home purchases and repairs. 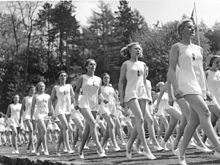 On the condition that the wife would leave the workforce, a loan of up to 1,000 Reichsmarks could be accessed by young couples of Aryan descent who intended to marry, and the amount that had to be repaid was reduced by 25 percent for each child born. 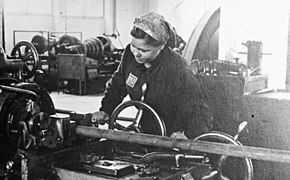 The caveat that the woman had to remain unemployed outside the home was dropped by 1937 due to a shortage of skilled labourers. 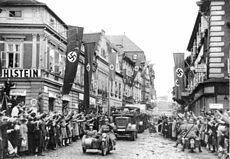 During the course of the war, the Nazis extracted considerable plunder from occupied Europe. 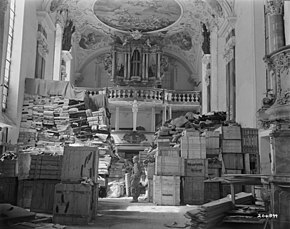 Historian and war correspondent William L. Shirer writes: "The total amount of [Nazi] loot will never be known; it has proved beyond man's capacity to accurately compute." 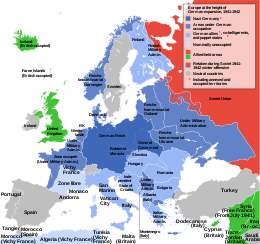 Gold reserves and other foreign holdings were seized from the national banks of occupied nations, while large "occupation costs" were usually imposed. 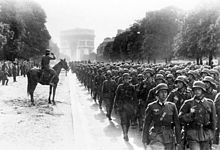 By the end of the war, occupation costs were calculated by the Nazis at 60 billion Reichsmarks, with France alone paying 31.5 billion. 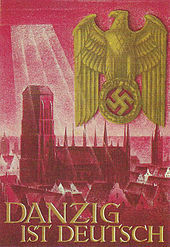 The Bank of France was forced to provide 4.5 billion Reichsmarks in "crs" to Germany, while a further 500,000 Reichsmarks were assessed against Vichy France by the Nazis in the form of "fees" and other miscellaneous charges. 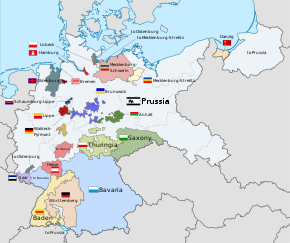 The Nazis exploited other conquered nations in a similar way. 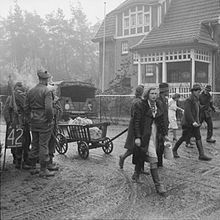 After the war, the United States Strategic Bombing Survey concluded Germany had obtained 104 billion Reichsmarks in the form of occupation costs and other wealth transfers from occupied Europe, including two-thirds of the gross domestic product of Belgium and the Netherlands. 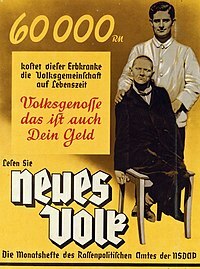 Poster from the Nazi Party's Office of Racial Policy: "60 000 RM is what this person with herary illness costs the community in his lifetime. Fellow citizen, that is your money too." 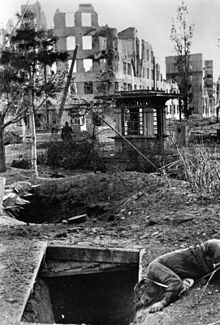 Action T4 was a programme of systematic murder of the physically and mentally handicapped and patients in psychiatric hospitals that took place mainly from 1939 to 1941, and continued until the end of the war. 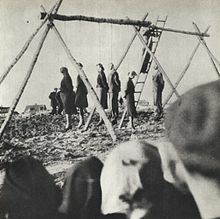 Initially the victims were shot by the Einsatzgruppen and others; gas chambers and gas vans using carbon monoxide were used by early 1940. 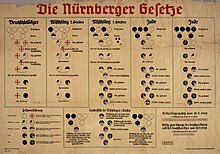 Under the Law for the Prevention of Herarily Diseased Offspring, enacted on 14 July 1933, over 400,000 individuals underwent compulsory sterilisation. 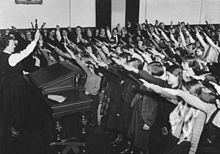 Over half were those considered mentally deficient, which included not only people who scored poorly on intelligence tests, but those who deviated from expected standards of behaviour regarding thrift, sexual behaviour, and cleanliness. Most of the victims came from disadvantaged groups such as prostitutes, the poor, the homeless, and criminals. 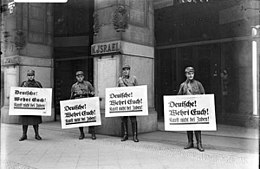 Other groups persecuted and killed included Jehovah's Witnesses, homosexuals, social misfits, and members of the political and religious opposition. 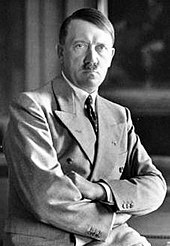 Newspapers, like other media, were controlled by the state; the Reich Press Chamber shut down or bought newspapers and publishing houses. 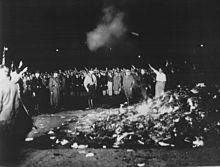 By 1939, over two-thirds of the newspapers and magazines were directly owned by the Propaganda Ministry. 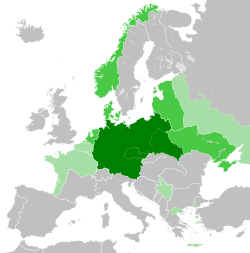 The NSDAP daily newspaper, the Völkischer Beobachter ("Ethnic Observer"), was ed by Rosenberg, who also wrote The Myth of the Twentieth Century, a book of racial theories espousing Nordic superiority. 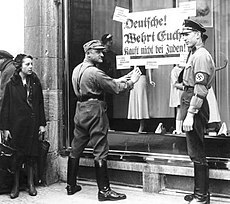 Goebbels controlled the wire services and insisted that all newspapers in Germany only publish content favourable to the regime. 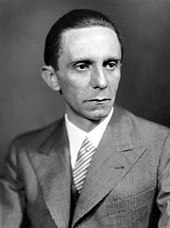 Under Goebbels, the Propaganda Ministry issued two dozen directives every week on exactly what news should be published and what angles to use; the typical newspaper followed the directives closely, especially regarding what to omit. Newspaper readership plummeted, partly because of the decreased quality of the content and partly because of the surge in popularity of radio. 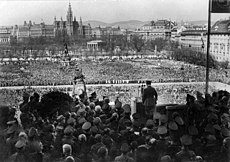 Propaganda became less effective towards the end of the war, as people were able to obtain information outside of official channels. 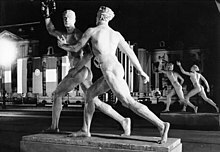 Leni Riefenstahl's Triumph of the Will (1935)—documenting the 1934 Nuremberg Rally—and Olympia (1938)—covering the 1936 Summer Olympics—pioneered techniques of camera movement and ing that influenced later films. New techniques such as telephoto lenses and cameras mounted on tracks were employed. 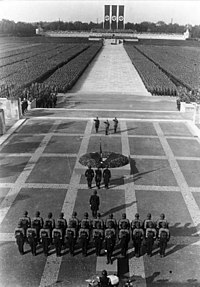 Both films remain controversial, as their aesthetic merit is inseparable from their propagandising of National Socialist ideals.